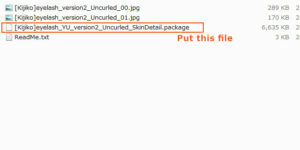 If you are not sure how to install custom contents,please check this out. 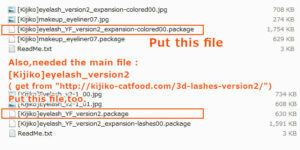 You’ll get the lashes as .zip file. 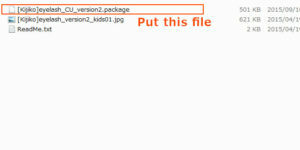 Please wait until the .zip file is downloaded completely. Double clicking the .zip file,the window will open like this. 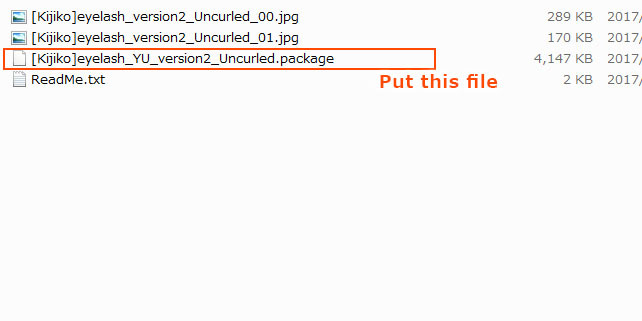 Double click the folder. Then you’ll see the window like this. 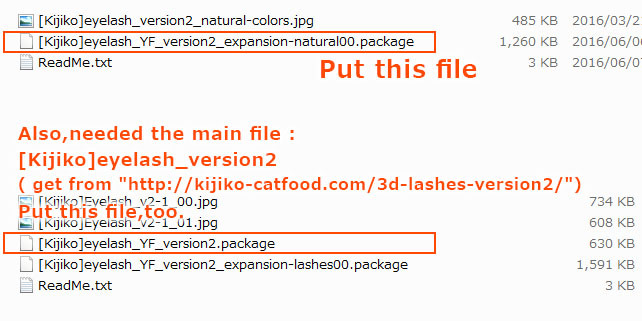 Steps to extract the files. 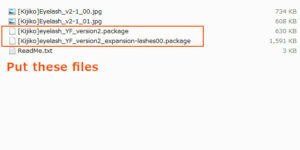 Extracted correctly,you’ll get files in the folder you selected. Mac : Just double click. 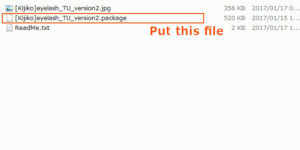 The file will be extracted. Make sure that your game has been updated to the latest. 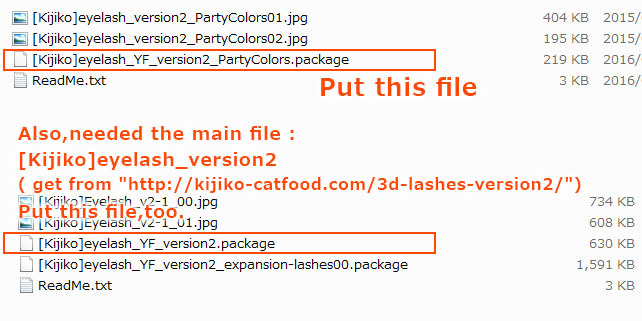 The lashes may not work if you haven’t updated your game. 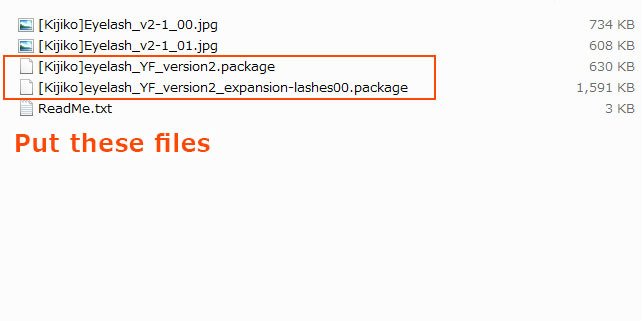 Put the files into your Mods folder. Click and Check it out! 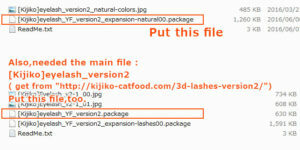 You can know the files needed to install per version of the 3D lashes. 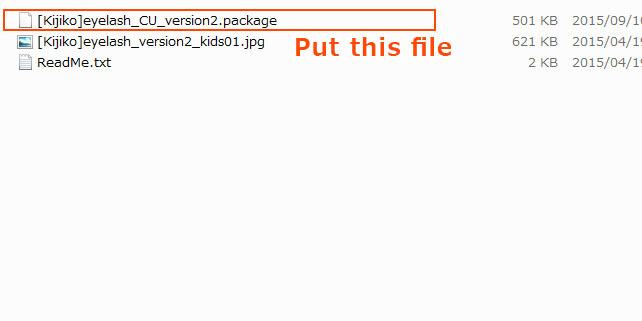 It is in your mod folder,TS4 make this file automatically when you boot the game first. 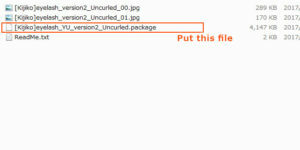 Be careful not to make subfolder too much nested. 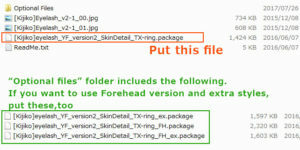 TS4 doesn’t recognize nested subfolders more than described in Resource.cfg. 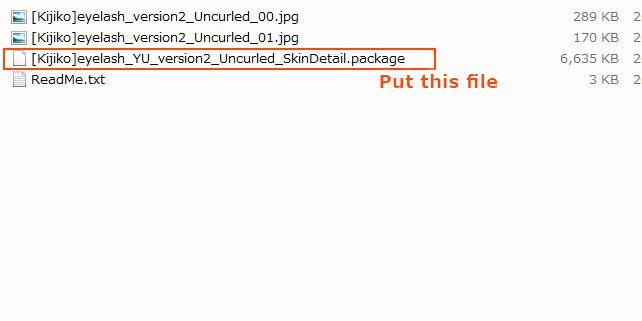 Make sure “Enable Custom content and Mods” has been turned on. Make sure “Laptop Mode” has been turned off. 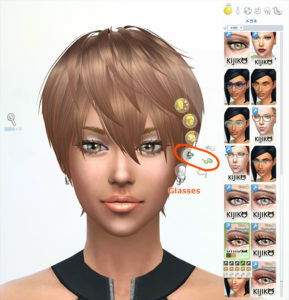 The lashes use “SimGlaseeShader”. This shader won’t display objects with texture alpha correctly when you use Laptop mod. Please turn off Laptop mode. Hope you enjoy the Lashes! 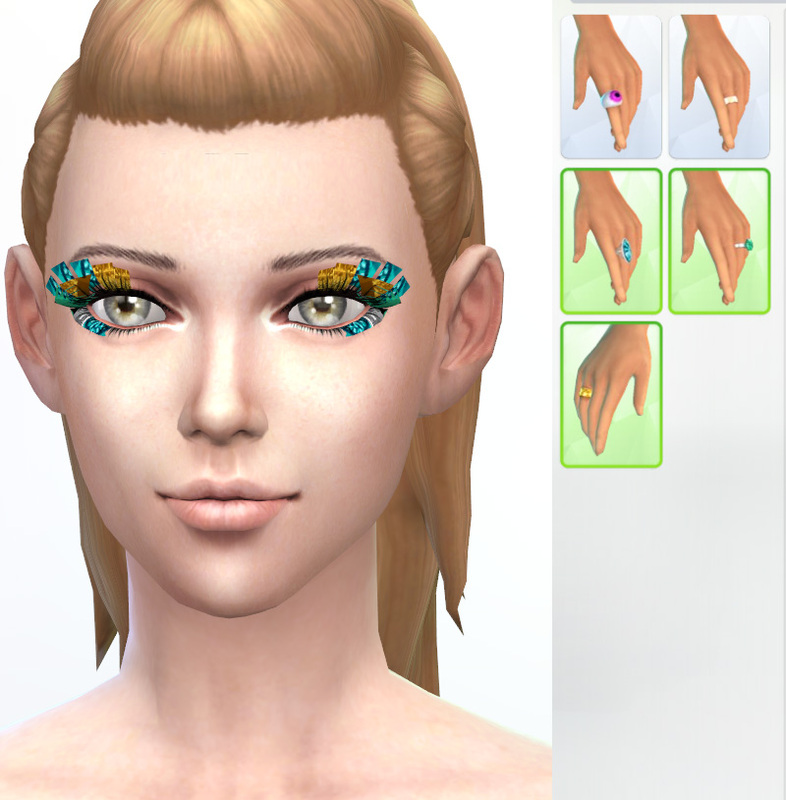 Something Wrong with the Lashes…? 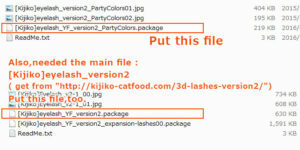 Please read the ‘Installing The 3D Lashes’ once again. lacking something…? Especially,check the steps 3 to 5. There’s something glitch with the lashes…!? 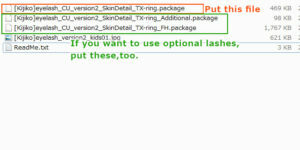 If the lashes look like this,please check the following. Check for other CC conflicts. 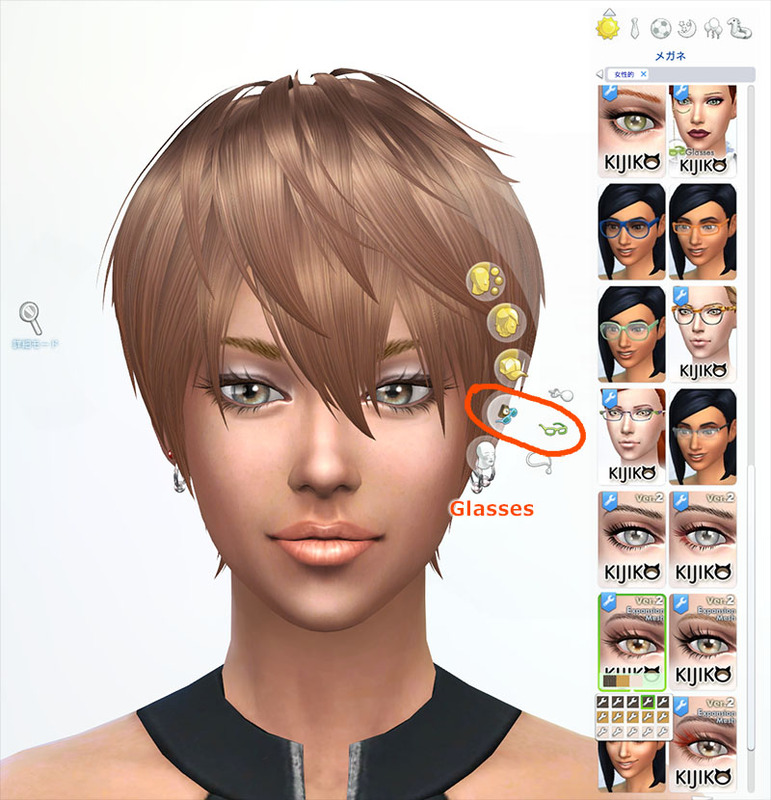 To do it,move other CC (except the lashes) to your desktop or something. Then restart the Sims 4. 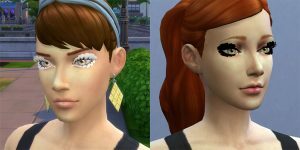 If the glitch doesn’t happen,any of CC have conflicted with the lashes. 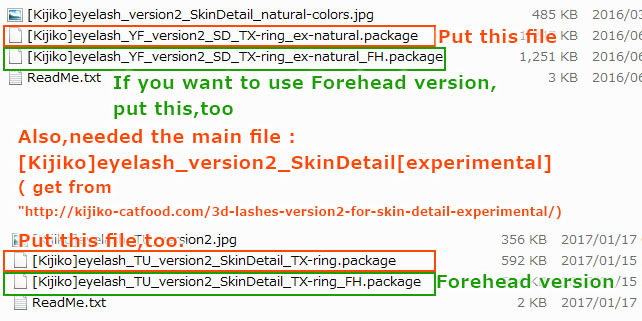 Skin detail lashes can’t be used together with rings and any accessories made as rings because that lashes are mapped in rings texture area. Please use it without rings or custom ring accessories. Umm…there may be problem with video card or something. Me too. I’ve written these as far as I know. Probably,I can’t reply any more. However,everyone has not got the same PC as mine. There may be a case where you still have trouble. 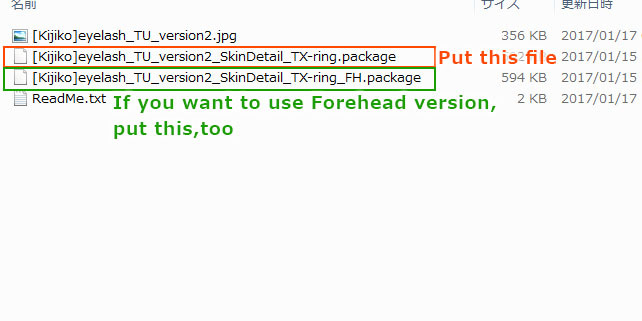 Please read this guidelines before you sending comments. 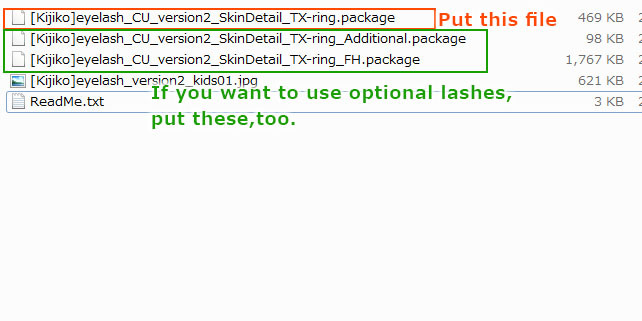 Please post about the lashes issues. There’s a case where the comment is not approved if it’s not a relevant comment to those topic. You may not use this comment form to post threats, insults, personal information, libel, slander. 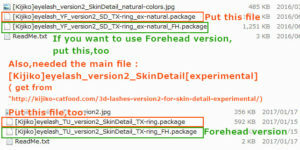 Don’t discussion or recommend software cracks,something violate copyright. Please don’t advertise your website,social media,patreon,whatever on the comments except you have the solution of someone’s issue on your site or social media. Spambots are instantly and permanently banned. Please follow the rules when you post a comment. If I see any of these guidelines being broken,there’s a case where that comment is canceled its approval. Thank you for your understanding in advance. 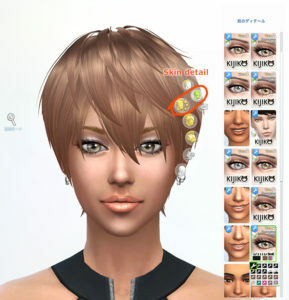 Hello, I was just wondering when you boot up The Sims 4 and it shows you what CC and Mods you have, would it come under Custom Content because it shows that the Kijiko eyelashes are under the category of Mods. I have a mac and its not working. Help me please!!! 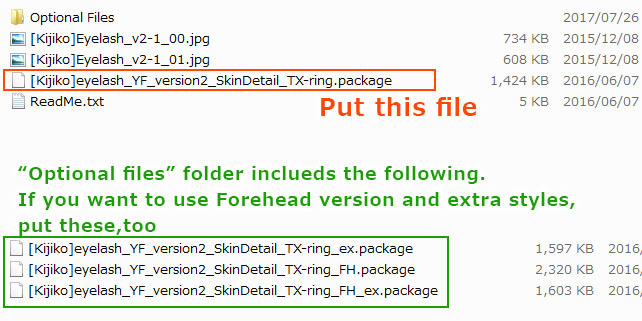 Hello, I’ve tried to install the skin detail eyelashes but every time I try to extract the file it gives an error that says it can’t extract a file because the “pad is too long”. 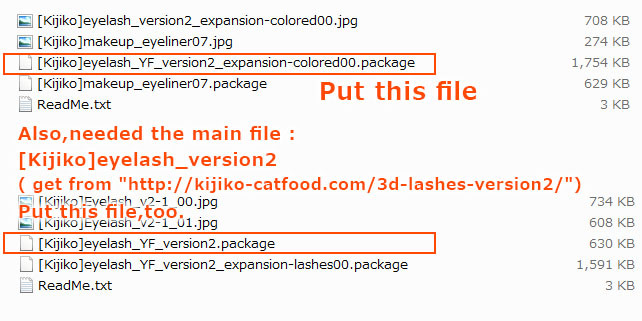 I’ve downloaded and extracted the file once and the lashes were working perfectly but had to re-download my lashes and now i can’t extract. Does someone know why this is and how I can fix it? Thank you so much. I have been looking all over for these!! They look amazing.